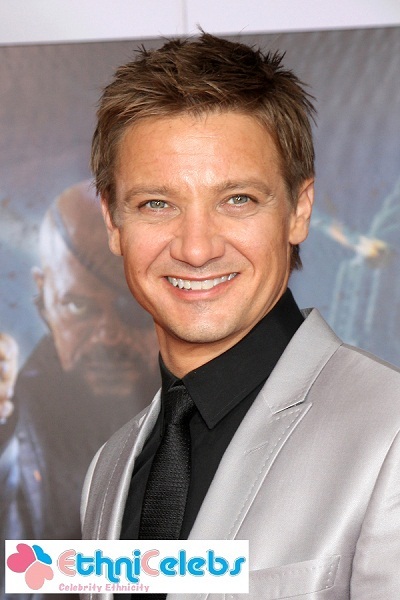 Jeremy Renner is 1/8th black. Renner’s great-grandfather Frank Warren was also likely of Panamanian background, and so there’s a very good chance he was black, as well. Panama has a sizeable American Indian population too, the world isn’t split between just black or white. It’s very unlikely Frank Warren was “black” too or a person of color anyway. You don’t easily get rid of all those non Euro-genes to produce a phenotype like Jeremy’s mother. To have “Caucasoid” phenotype does not mean to look European.